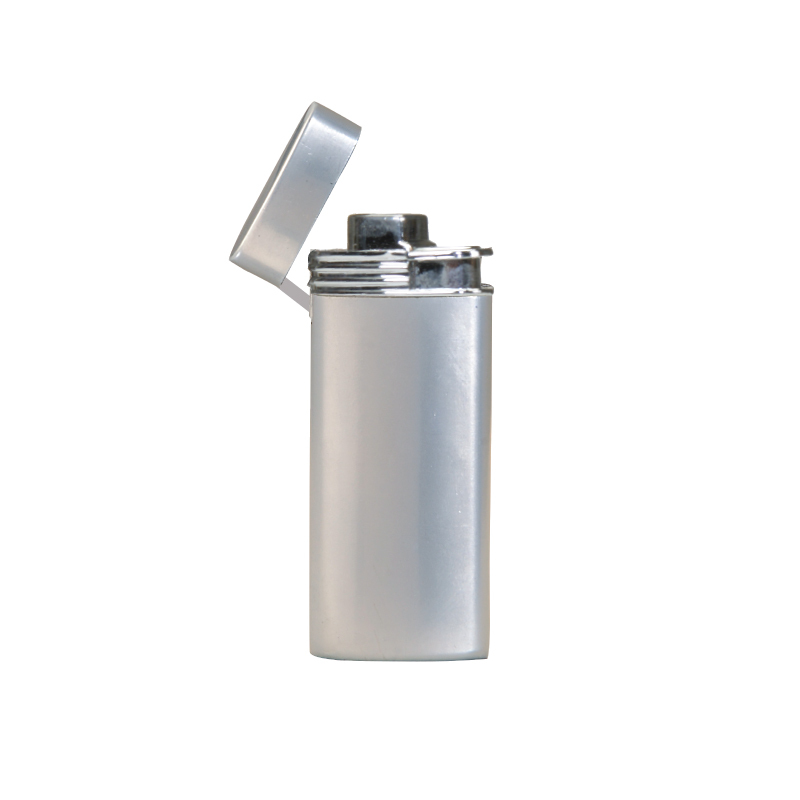 Product Details: Metal torch flame lighter. Silver finish. Green turbo flame. CPSC Approved. 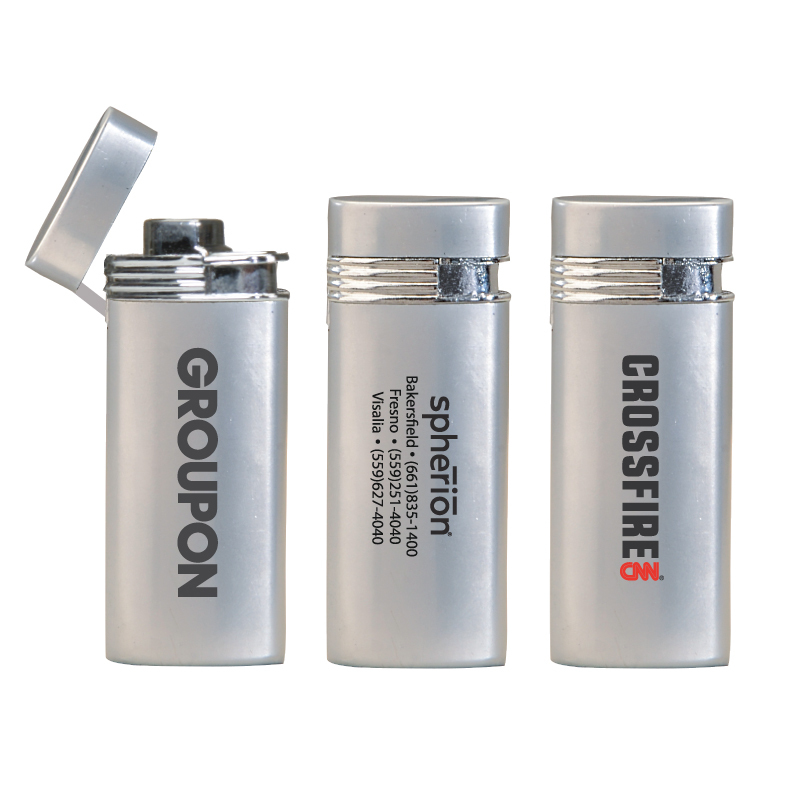 Inquire for engraving, engraves silver. HazMat Shipping - $30 per case via FedEx Ground, $100 via FedEx Priority Overnight. Item Size: 3" x 1 1/8"
Approx. Imprint Size: 5/8" x 1 5/8"
Carton Dimensions: 14" x 11" x 10"